“I still have the warrant for my arrest in 1970 when the postal workers went out on strike. I was president of the local down here. Scared the hell out of me, but I stood on that picket line! 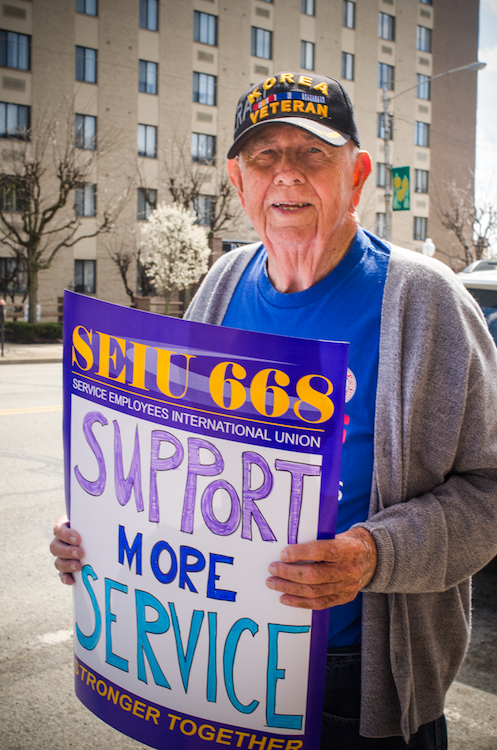 I’m 85 years old, and when I was able to stand, I was a union person. My Dad was a union guy and I grew up that way. My first job was up at B&W and the first thing I did when I walked in was ask ‘where can I sign up for the union?’ When I was president of the Letter Carriers Union, we had 12,000 guys in the local.